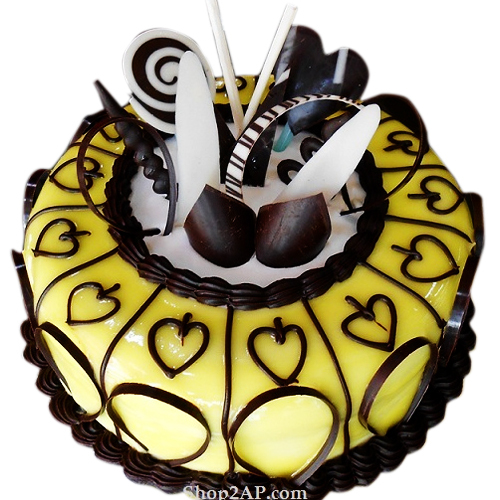 This Pineapple Cake is the best flavoured cake preferred by anyone of any age.It is very easy to convey heart felt wishes by representing a thoughtfully chosen cake because choice itself tells the receiver how much you know about them. For Message on the Cake please specify a noted in “Gift Message Box ” in Step 2 during the checkout. For Same Day Midnight delivery, place the order by 4 PM. However if you are late in placing the order for same day delivery, please call on 8008477688 or email at: sales@shop2ap.com.